It's so hard for me to make a simple card. So the more time it takes to make a simple card than to create a complex and colorful cards. 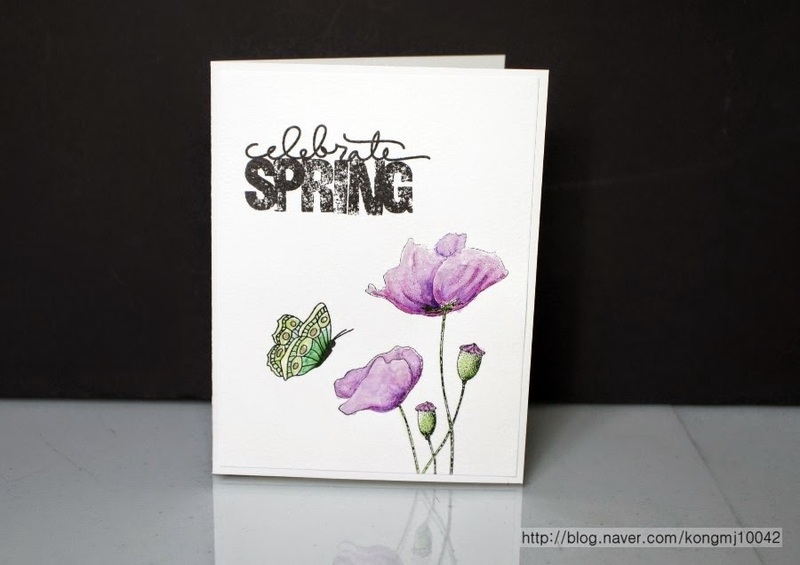 I wanted to contain the spring on the card. I used a blend of purple and green. 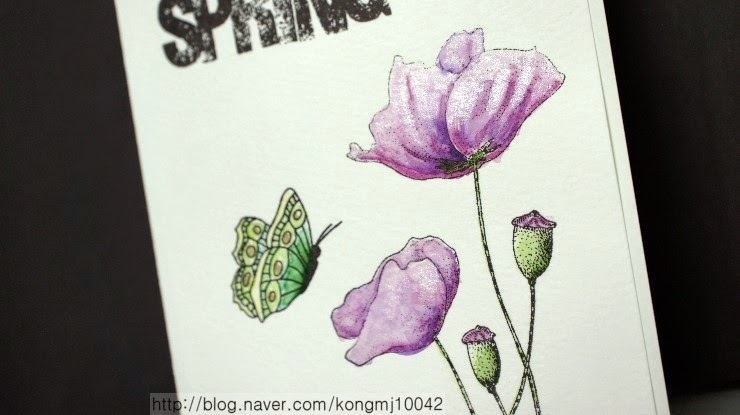 Wonderfully clean and simple and I love your soft colouring of those flowers, so pretty. 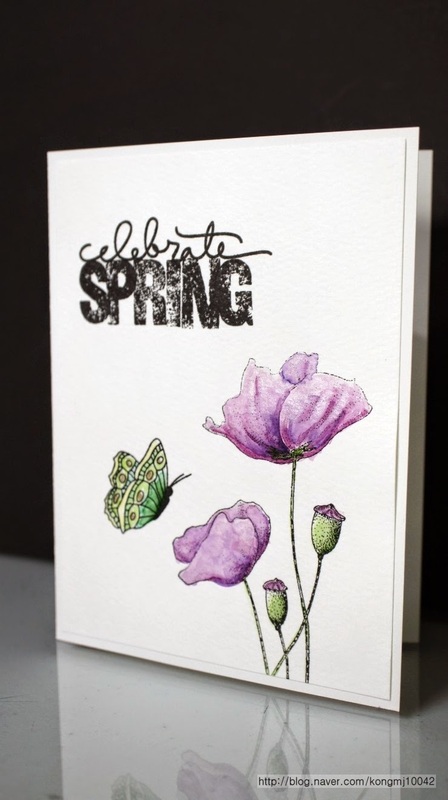 A gorgeous CAS card Wini, gorgeous colouring of the pretty poppies and cute butterfly!! Soft and pretty...thank you for joining us at "The Shabby Tea Room" for our "Pretty In Pink" challenge! Gorgeous soft colouring! Thanks for strutting your stuff with us at Runway Inspired Challenge! You have gorgeous soft colouring in your petals. beautiful. 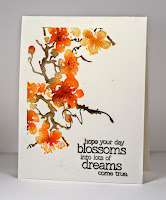 thanks so much for playing along in the little tangles challenge. I agree. Simple cards are more difficult but yours turned out beautifully. 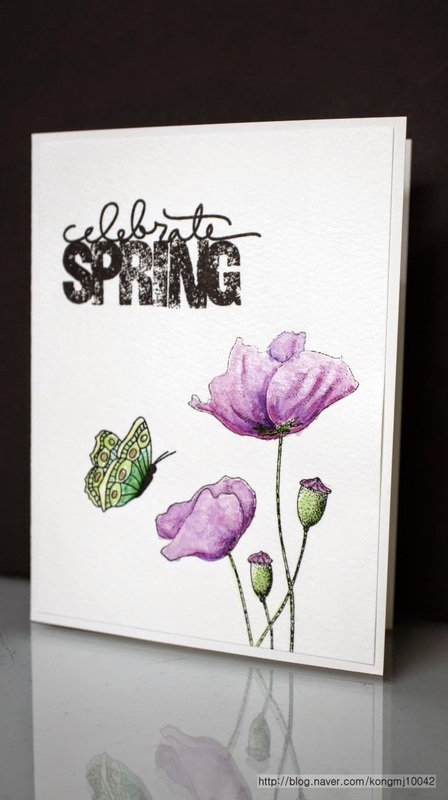 Your colouring is amazing and I love the grungy look in your sentiment. 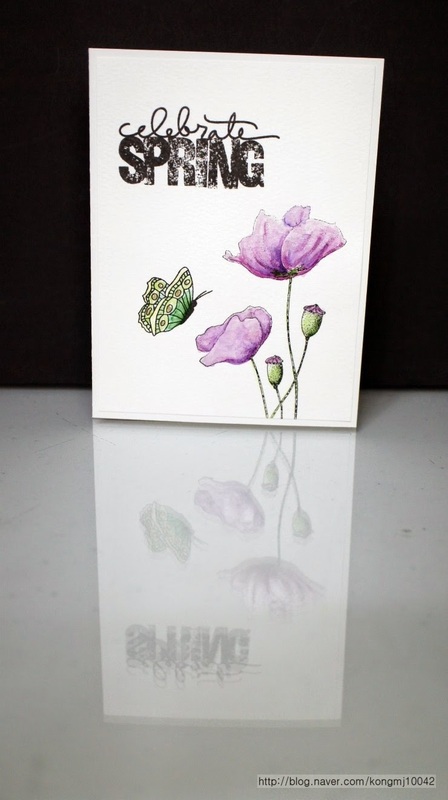 Thanks so much for entering your card into our latest challenge over at Pattie's Creations. Good luck in the draw.